Yes I know what your all thinking 'its only February and we are talking about Halloween'. Well, when one of the longest running fan magazines in the world is going to do a convention it makes sense to keep you in the loop from the start. Following the success of Alien Con 2016, Cosmic Con will be returning to the Bay area for a terror-rific party – the likes of which no one has ever seen! 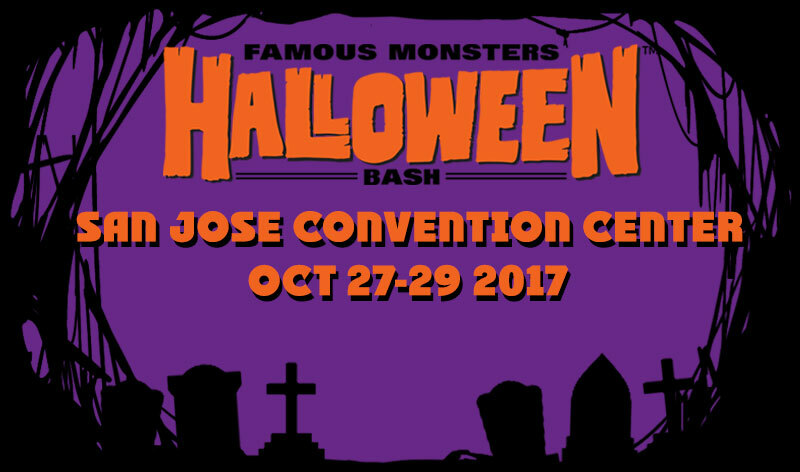 It’s the FAMOUS MONSTERS HALLOWEEN BASH, and it’s coming to the San Jose Convention Center, October 27-29, 2017! Vendors and artists will be hawking their wares! With a brand new Virtual Reality Haunt that you can test yourself – if you’re not too scared, that is… And Friday night will kick off with a killer concert by a surprise musical guest! 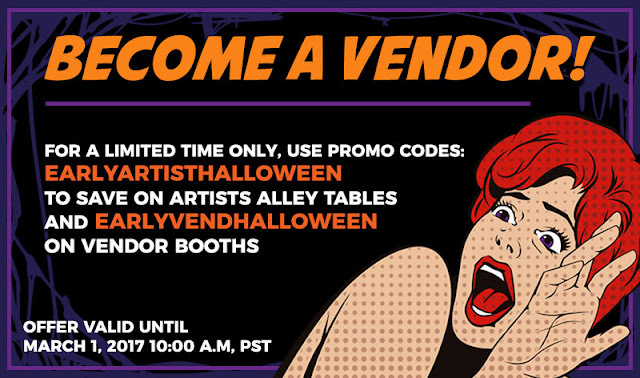 They are now recruiting vendors, volunteers, and as many partygoers as they possibly can, so please join them as they celebrate Halloween in the way only Famous Monsters can! You can check out the current line-up of guests here.